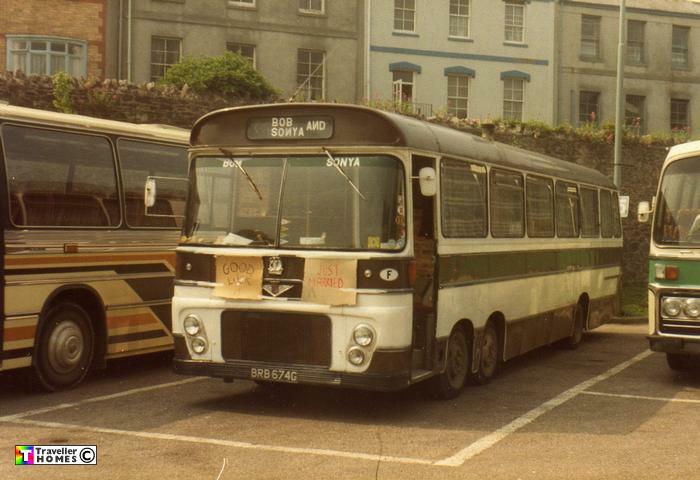 BRB674G (1969) Bedford VAL70 . Willowbrook B56F. Ex-Tailby & George , Willington . Seen ? Not sure if they were Travellers or straights ? By 1995 it was sat decaying at the RAF Cinema site at Henstridge , Somerset . photo = Les Eddy .